Mondays: 8.30am Prayer time at the Vicarage. St Giles has strong ecumenical relationship with Cheddington Methodist Church and join together for worship of the fifth Sunday of the month and to help run various groups. Emmaus Group: First Wednesday of the month, 8pm. For further information, contact Lin Knappitt (see above). Open Doors: Friday mornings, 10.30am- 12 noon at the Methodist Chapel. An opportunity to meet and socialise whilst having a cup of tea/coffee. Men's Group: First Friday of the month, 10.45 - 12 noon. Click on the latest Newsletter icon on the right for full details of service times and news from the parish. 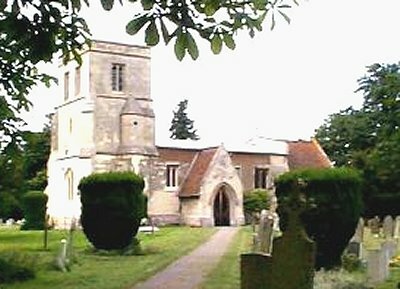 Bellringing: St Giles has a peal of six bells, the oldest bell being over 450 years old. In 1911 the oldest bell was recast and a sixth (Bell 1 or treble) was added giving us the peal we have today. The bell ringers welcome new members, young or old. So if you would like to try your hand at ringing them, just as your predecessors have done for centuries, contact Alan Masters (visit the Bell Ringers page by clicking on the link on the right! ).